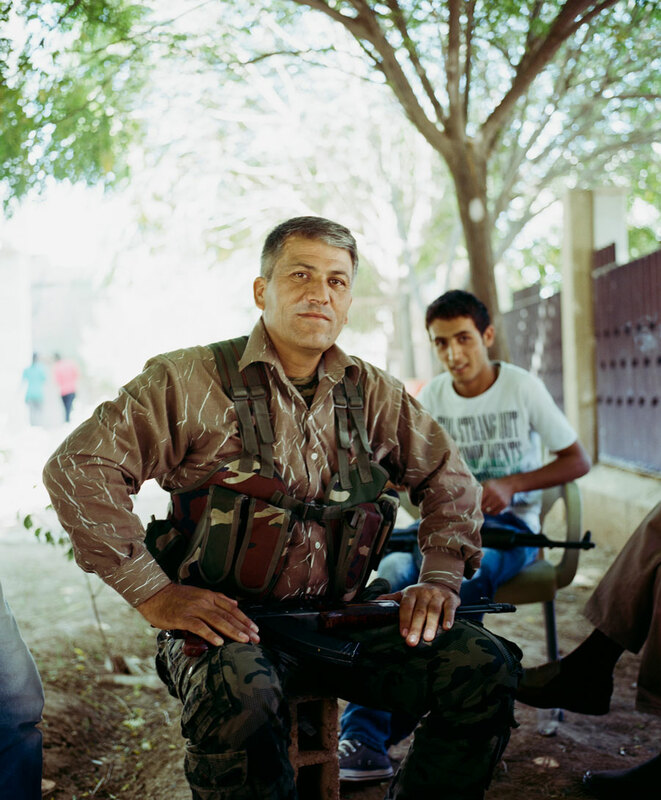 The significance of the struggle in Kobanê cannot be overstated. But real international solidarity won't come in the form of military intervention. An Assyrian fighter at a martyrs' cemetery near Hassake, a city in northeast Syria. 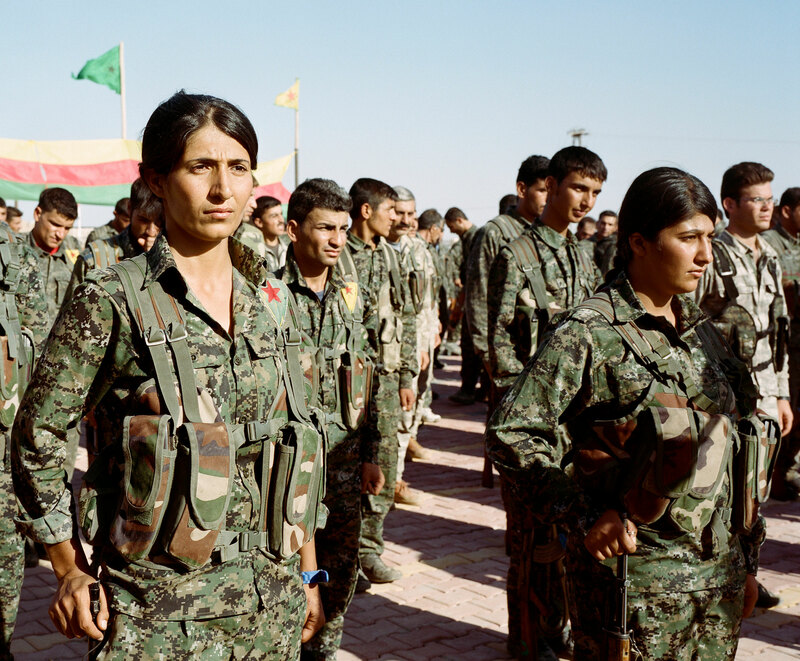 The accompanying photo series was produced by Roman Kutzowitz in October 2014 from the autonomous region of Rojava. Nonetheless, the question persists why this kind of credulousness about the intentions of Turkey keeps surfacing. The closed Turkish-­Syrian border in the north Syrian town Dirbes Spi. Indeed it was not only the media that appeared suddenly to view the role of Turkey more charitably. Even some Kurdish politicians appeared to be nursing positive expectations. The co-chair of the Syrian Kurdish Party of Democratic Unity (PYD), Salih Müslim, explained it thusly: in talks with Turkey, he had been promised that a corridor along the Syrian-Turkish border would be opened to allow aid to reach the besieged city from Kurdish regions further east in Syria. Even the delivery of urgently needed medical supplies was blocked. 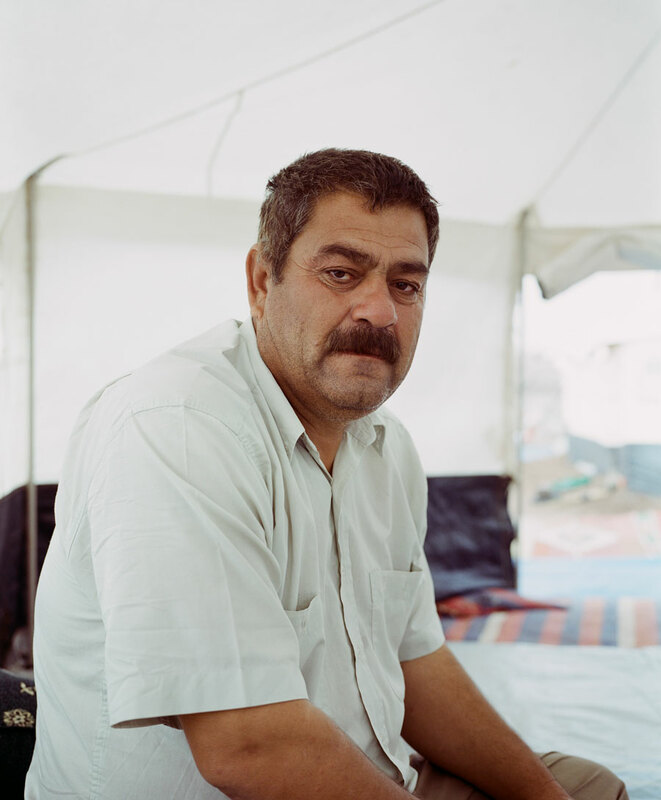 A Yezidi refugee from Sinjar in the refugee camp Newroz near Derik in north Syria. Contrary to Turkish government figures, the Kurdish movement does not deserve the blame for this escalation and the ensuing collapse of peace negotiations. It is the Turkish government itself that has been responsible for ratcheting up conflict in its own country, as well as in neighboring ones. Women’s Protection Unit fighters performing a drill for a large funeral near Hassekeh. Have the Strategic Winds Changed? It is apparent that the continued existence of Rojava cannot be ensured without international solidarity. 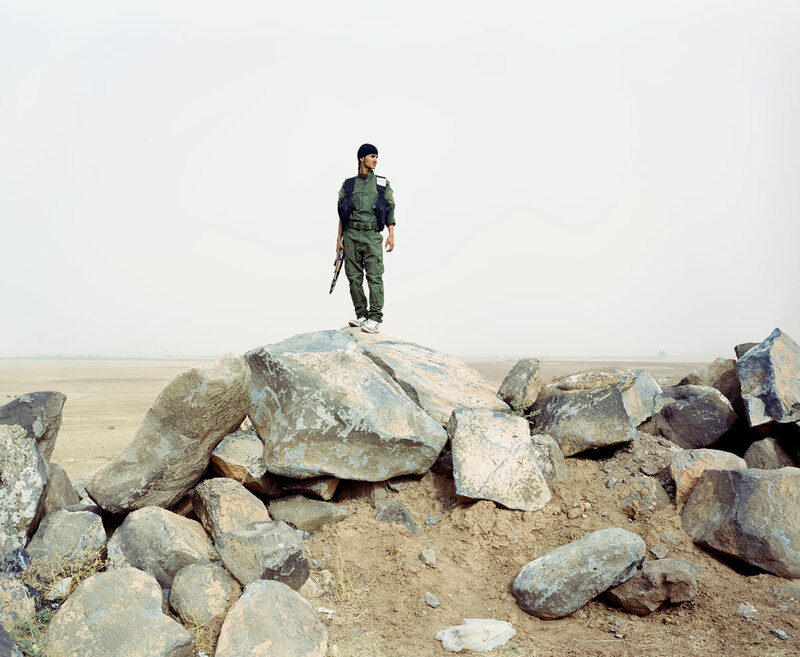 A YPG fighter guards the parliament of Cizire and Rojava in the north Syrian town Amude. Yes, Turkey opened a passage to the Peshmerga, and the US has coordinated its much-belated bombardment with the defense units of the YPG. It is nevertheless important to note that neither the US nor any other country has taken concrete steps to fulfill the actual demands Rojava has made that its autonomous defense be made possible. Arms drops from the air have been floated but not meaningfully pursued after allegations that an initial drop ended up in the hands of IS fighters. Instead, hope has been pinned on the Peshmerga and FSA units. Their statements nonetheless agree that an agreement was arrived at regarding the distribution of political power in Rojava, that rivalries were overcome, and “Kurdish Unity” reestablished. A coordinating council will be formed, of half PYD and half KRG-associated parties. But what function or authority this council will have remains unclear. 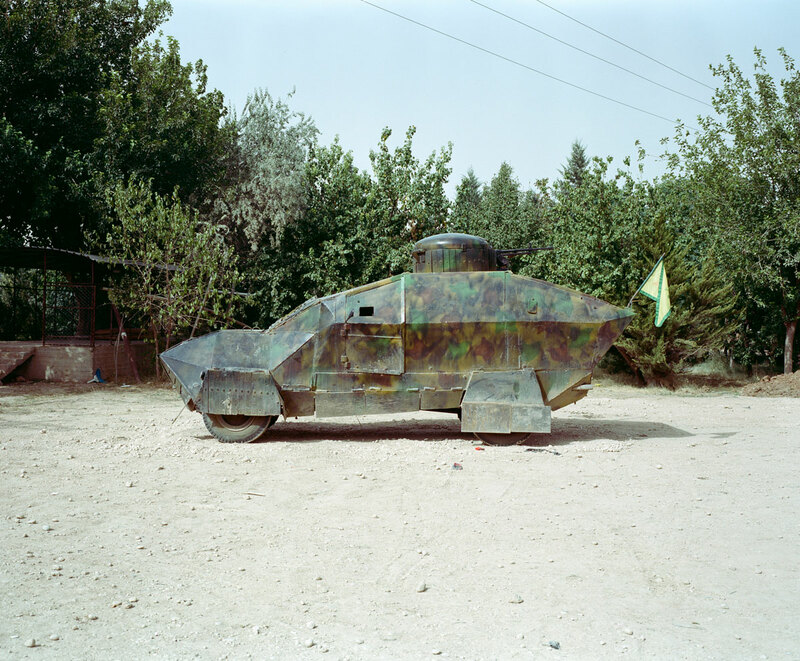 A Homemade tank near the battlefront in the north Syrian region Mebruke. This article originally appeared in German on Infobrief Türkei on October 9, 2014. The authors updated it for its Jacobin publication in December 2014.